Sameh Elamawy - For the Industry. By the Industry. Sameh Elamawy is the Chief Executive Officer at Scratch. Scratch is a different kind of loan servicer that delivers a borrower-first experience by leveraging technology to significantly improve consumers’ ability to understand, manage, and repay their loans while helping transform the servicing ecosystem for both borrowers and lenders. 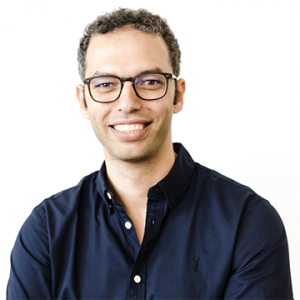 Sameh has a background in product management where he has built consumer experiences at organizations big and small like Dropbox, Pinterest, and Procter & Gamble. He received his B.S.E. in Computer Science and has an MBA from Stanford Graduate School of Business.